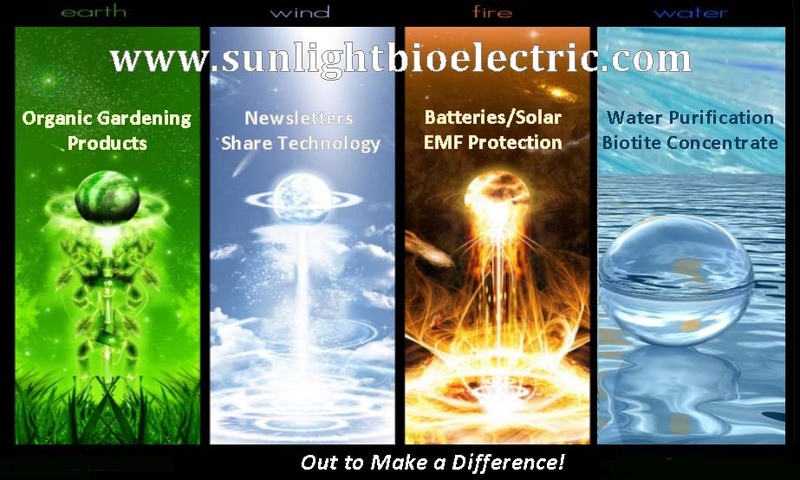 Welcome to Sunlightbioelectric.com ~ We are a growing community of like minded folks here in North Idaho. 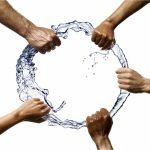 We appreciate you taking the time to see what we’ve discovered about WATER, FOOD, EMF’s and lifestyle. 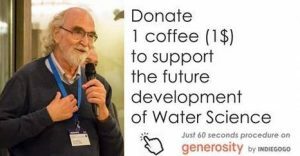 In addition to being an R & D (Research & Development company) a good deal of our work is sharing ideas about sustainable “off grid” living. This is why we provide information about water purification; making H3O2 structured/ EZ water and the like. Questions are discussed and answered about EMF radiation protection, organic gardening, soil sample analysis and toxicity/pollution issues. Sunlightbioelectric is a distributor for Tainio Biologicals (garden and farm). Research along with sharing our findings. Our goal is to keep our site simple, informative and easy to navigate. We recently had to update and re-create the entire site, which provided further evaluation about what our priorities are, and in turn the true purpose of our company. Our intention is to “Make a Difference” on this planet Earth; together we can! 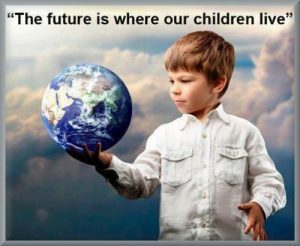 The future of our children depends on the choices we make which gets passed on to them. In that way, we all benefit by realizing they have some of the answers as well! It begins by teaching them RESPECT; of Nature, all animals big and small and ALL living Beings! We must lead by example that nothing is really ‘thrown away’ but has to go SOMEWHERE! We must instill a sense of awareness about what we do with our trash… Bringing our own drinking “canteen” or water bottles (continually reusing), is a wonderful way to honor and respect this planet. Thank you teachers and students, we’re ALL in this together. 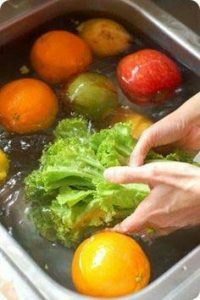 ATTENTION: E. Coli and bacteria removed from fruits and veggies! There has been an increasing problem with contaminated veggies, evidence that bacteria contaminates the lettuce through use of manure fertilizers and toxic water from runoffs. In some cases there have been E. Coli on greens and vegetables that have not been fertilized this way. Biotite H3O2 Liquid Crystal Minerals can be used as a vegetable and fruit wash! Please read the research we’ve been doing, the results are staggering! Here’s what we do: Simply spray a diluted solution (1 Tbsp/gallon) on vegetables. A five minute soak in the same dilution draws pesticides and other contaminants from deeper within food for a more thorough cleanse. This same solution can be used again for several weeks before discarding. We really appreciate this opportunity to serve and are very excited about all the things we want to share. Please come back often or if you have a comment or suggestion, please send us an email.